Respect the Sacred: Protect Mauna Kea, Pohakuloa, Standing Rock, etc. 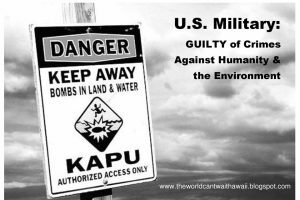 Stop Bombing Hawaii & Everywhere on the Planet! As a follow up to that, on Aug. 16th I sent out an email to Democratic Party officials and elected officials and others asking the question: Who gave the order to the security people at the Hilo Grand Rally to block the signs of dissent and why? To date, only Hawaii County Democratic party chair, Phil Barnes, had the courtesy of responding. His response said “I have no idea Jim.” Neither Phil nor any of the other Party officials, elected government officials, former elected government officials, and candidates seeking office who were present at the August 12th Hilo Grand Rally stood up to protect the right of peaceful dissent and to intervene with Democratic Party Rally security to stop their blocking of signs. Some of the officials present at the Grand Rally included: Gov. David Ige, former Gov. John Waihee, Senator Brian Schatz, Mayor Billy Kenoi, Mayoral candidates Harry Kim, Pete Hoffmann, several Big island State Representatives, State Senators, and County Council members, and numerous candidates for office. Many obviously saw what was going on. My question to you: Have you no sense of shame? I thought you took an oath to defend the constitution and the bill of rights? Why did you remain silent and fail to intervene? The Grim Reaper made a special appearance at the Hilo Grand Rally of the Democratic Party Friday evening August 12, 2016, according to Jim Albertini of Malu ‘Aina. Albertini said : “on the Grim Reaper’s front side was a sign that read “TMT – YES! $ Over Sacred” On his back was a sign that read “I support bombing Hawaii.” A sign at his feet read “Executive Privilege.” Upon reaching the makai side of the stage area, the Grim Reaper was approached by several Democratic Party security personnel in distinctive security shirts who told him and two other people accompanying him that they had to leave. The Grim Reaper made it clear he had no intention to disrupt the rally nor attempt to stand on the stage. His intent was simply to stand on the side and present a message of peaceful dissent on the TMT issue and Pohakuloa. For background — The sign held by the Grim Reaper “TMT – YES! 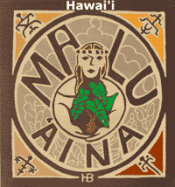 $ Over Sacred” was meant to challenge people who put concerns of money before respecting the deeply help Hawaiian belief that Mauna Kea is sacred. 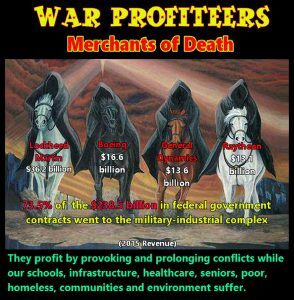 The Grim Reaper sign “I support Bombing Hawaii” was meant to challenge the politicians who support bombing at Pohakuloa which is poisoning/destroying the ‘aina in order to train troops for foreign interventions resulting in what the CIA calls “blowback” which is now called terrorism. The “Executive Privilege” sign was reference to the State Attorney General filing a motion in the Mauna Kea contested case proceedings to keep Governor Ige, DLNR Board Chair Suzanne Case and BLNR member Stanley Roerhig from testifying in the proceedings. “You will reap what you sow.” Time to go organic! Nominated for the Drone Award! If the target is a US citizen or someone living in the US, or if there is not unanimous agreement among the President’s key national security officials regarding the nomination of the target, it will be submitted to the President for a decision. However, the head of the nominating agency themselves can approve lethal action against a proposed individual if all of the major national security officials unanimously agree it should be undertaken, but the President has to be apprised of the decision. They make it sound like you are being nominated for an Oscar or Grammy award, but the reality is that the president and/or the head of the Killer Drone nominating agency and other national security bureaucrats are acting as Judge, Jury, and Executioners. What has happened to due process of law? 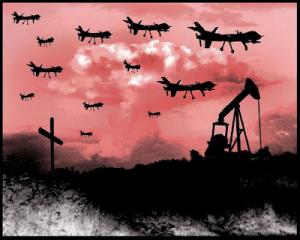 More Drone Killings and More War are NOT the Solution to Ending Terrorism. Drone Killings and War are Terrorism! 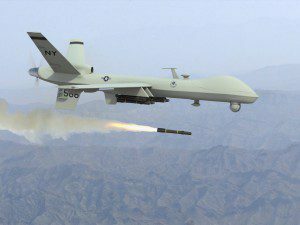 Why Do Americans Hate Beheadings But Love Drone Killings? 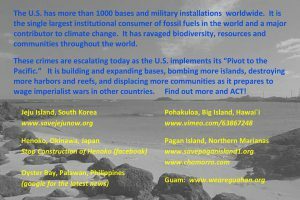 End U.S. military interventions for global control of resources!